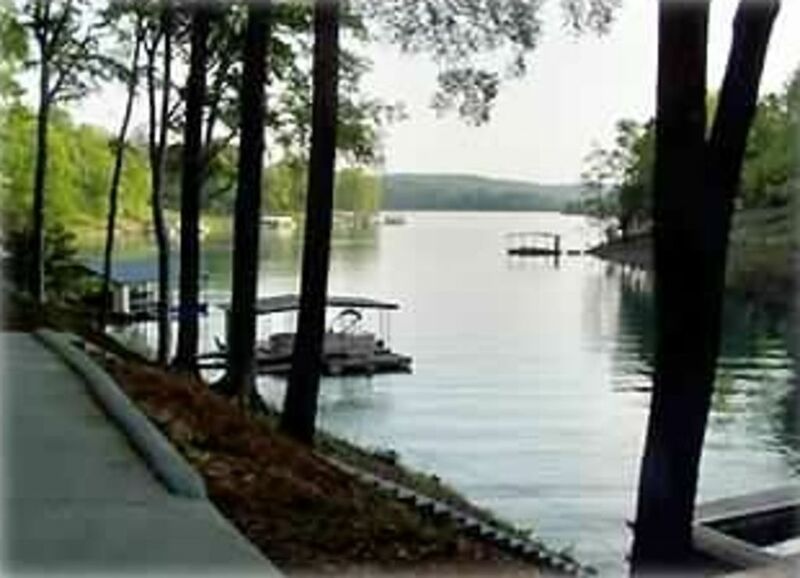 Deerfield Resort, Norris Lake, Lakefront Rental Home! Location: Deerfield Resort...FREE WI-FY,UNLIMITED LONG DISTANCE, HI DEF FLAT SCREENS,FREE HBO AND SHOWTIME. This Resort home is a private lakefront vacation home with private dock. An 18 hole championship Golf course, (The Greens at deerfield) is located right in this beautiful gated community. Norris Lake has it all! The lakes beautiful blue-green waters span more than 800 miles of shoreline covering 34,000 acres. Norris Lake boundaries extend up the Clinch and the Powell Rivers which feed Norris with clear, pristine waters. It's an ideal environment for sportsmen and vacationers alike. * Size: 3200 Square foot home. * Bedrooms: Five bedrooms, sleeps 16+. * One Master Bedroom upstairs with king-size bed and Jacuzzi tub in master bath. * Two Bedrooms on entry level, with Queen-size bed. * Two Bedrooms in finished walkout basement, Two Queen-size beds in first room and two Queen-size beds and bunk beds in second room. * Bathrooms: three full bathrooms. * Deck: Overlooking the lake and dock, to relax as the sunsets. * Modern Kitchen includes refrigerator with freezer and ice maker, all cooking items, place settings for 16+ people, oven, and microwave. * Great Room with TV, DVD / VCR, Fireplace, two couches, and comfortable side chair. * Large open area in basement with two Couches, TV, and a table with 4 matching chairs for comfortable sitting. * In Season rented by the week (7 nights). * Occasional split weeks are available, based on the owner's discretion.